Living a Fit and Full Life: Get Permanent Hair Reduction at Home with the Venus Silk-Expert IPL BD 5001, Powered by Braun! Get Permanent Hair Reduction at Home with the Venus Silk-Expert IPL BD 5001, Powered by Braun! 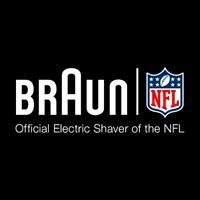 Braun combines breakthrough technologies, distinctive functional design, reliable quality, and superior longevity to make consumers’ desires become reality. Braun products are designed to make a difference.Dieter Rams, world-renowned Braun industrial designer between 1955 and 1998, embodied Braun’s thinking when he coined the phrase “Less, but Better.” Dieter Ram’s designs revolutionized the design world and many of his original pieces now appear in museums all over the world, such as the MoMa in New York. The 300,000 flashes deliver an equivalent of 15 years of full body treatments. Get permanent hair reduction at home with the Venus Silk-Expert IPL BD 5001, Powered by Braun! The Venus Silk-expert IPL, powered by Braun, provides fast treatments suitable for large body parts such as legs or arms, which can be treated in as little as 8 minutes. The unique SensoAdapt™ skin tone sensor continuously reads your skin tone and automatically adapts the light intensity for best efficacy and safety so there's no worry. The Venus Silk-expert IPL, powered by Braun is the perfect way to get permanent hair reduction at home. I don't know about you but I hate shaving and will do just about anything to not have to shave as often. 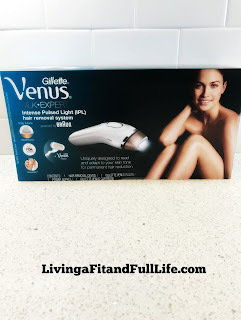 I've been using the Venus Silk-Expert IPL BD 5001, Powered by Braun for over a month now and absolutely love the amazing results I'm seeing. I have far less hair growth and it's definitely decreased how often I need to shave. My legs feel smoother than ever and I love that I can customize my treatments for optimal results. 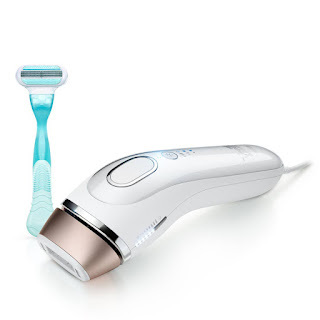 I also love that the Venus Silk-Expert IPL BD 5001, Powered by Braun is FDA Approved and clinically tested for safe and effective use at home. The Venus Silk-Expert IPL BD 5001, Powered by Braun is the perfect way to permanently reduce hair growth at home and I highly recommend it! Click HERE to read my review of Braun's Silk-epil 9 Skinspa system! Click HERE to read my review of Braun's Face 851 Beauty Edition - Facial Cleansing Brush with Micro-Oscillations & Facial Epilator!